The hotline allows the deactivation and decommissioning community to post problems in a specific deactivation and decommissioning (D&D) area and get solutions from the subject matter specialists. Users can also search for previously published problems and their solutions. 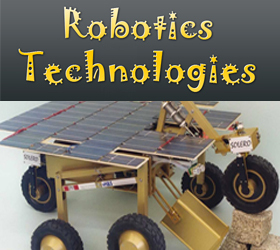 Technology provides information on deactivation and decommissioning related technologies including robotics and any associated demonstrations. It provides technology descriptions, benefits, limitations, and associated links and documents. It also provides vendor information, technology and demonstration fact sheet reports, and search capabilities. The custom deactivation and decommissioning web crawler searches and retrieve information from deactivation and decommissioning related websites. The crawler provides the user with a listing of best-matching web pages, usually with a short summary containing the document's title or parts of the text. Lessons learned provides a repository of documents published by the deactivation and decommissioning community users. This allows them to share their experience with the community. Best practices provides a repository of deactivation and decommissioning best practices documents that the user community can upload to the system. The video/picture library allows community users to upload deactivation and decommissioning technology and demonstration videos and pictures to the deactivation and decommissioning KM-IT system. The videos and pictures could then be viewed by the decommissioning and dismantlement community. Weekly reports published by the ALARA center include the status of the deactivation and decommissioning activities that have taken place at various centers. It includes the list of ALARA center activities for consecutive weeks. This feature makes the reports available to the entire deactivation and decommissioning user community. The specialist directory provides a directory of deactivation and decommissioning experts in different areas along with their contact information. The user can search the specialist directory by name or by area of interest. Vendor management provides a directory of deactivation and decommissioning vendors along with their contact information. Collaboration tools provides information-sharing mechanisms such as deactivation and decommissioning news, events calendars, links, message boards, and frequently asked questions (FAQs). This allows the deactivation and decommissioning community to interact with fellow users. The training component provides training videos related to deactivation and decommissioning work, ALARA Centers’ training material and custom training for the deactivation and decommissioning community. 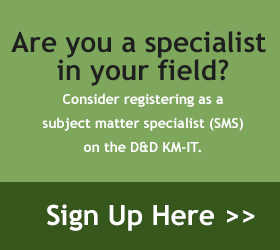 The D&D KM-IT is a web-based knowledge management information tool custom built for the decommissioning and dismantlement user community. 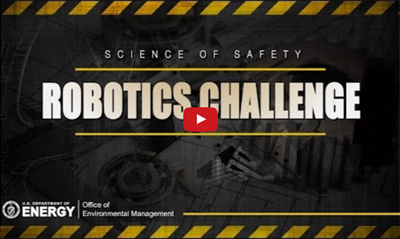 This system is being developed by Florida International University - Applied Research Center (FIU-ARC) in collaboration with the Department of Energy - Environmental Management,EFCOG, and the ALARA Centers at Hanford and Savannah River. 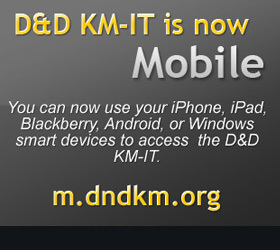 The Deactivation & Decommissioning Knowledge Management Information Tool (D&D KM-IT) is a web-based knowledge management information tool custom built for the deactivation and decommissioning user community.